Note: Those people in Tibet and in Nepal bordering to Tibet, having a nomadic life shifting their flock of sheep, goat or yaks in the high pastures, living under the tent, are called Dhokpas. Hem Raj Bastola is currently working as a freelance local tour guide in and around Pokhara Valley, Nepal. 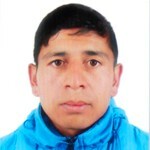 He has worked as a Guest Service Agent at the Hotel Pokhara Grande, as a cave guide, inside the cave area for all tourists as well as office assistance in Guptshor Mahadev Cave, as a substitute representative for Sita Travels, as a freelance trekking guide for tourists to the surrounding Annapurna range and as a book salesman in Annapurna Stationary Center. Hem also enjoys writing poetry, listening to music and collecting stamps.